Muslim Brotherhood Morsi, Egypt’s President prays for allah to destroy the Jews and supported by Obama! History of the Muslim Brotherhood Penetration of the U.S. Government 04/22/13 This is a great article showing how deep the Muslim Brotherhood’s tentacles are in the American government. 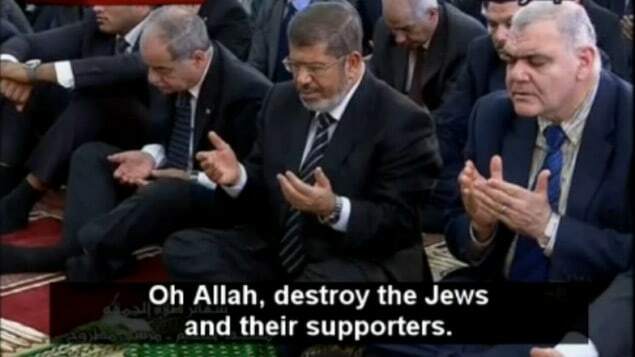 No wonder Obama GAVE all those advanced weapons to the Muslim Brotherhood in Egypt! I am sure that the Israel’s know this and how can they trust Obama? The entire world seems to be lies, deceit and blindness! The deception is all around us, and we need God’s guidance to discern what is real and truth. It seems that all the governments throughout the world just lie. One of the most serious was Japan lying to its people and the world about the radiation pouring out of the Fukushima power plant.